This is an expanded version of my article published in October 2, 2012 Smartertravel.com and includes photos taken during our trip. As you travel across the country, a plain lined with forests and small villages, you see perfect white clouds like those observed in a Marc Chagall painting. 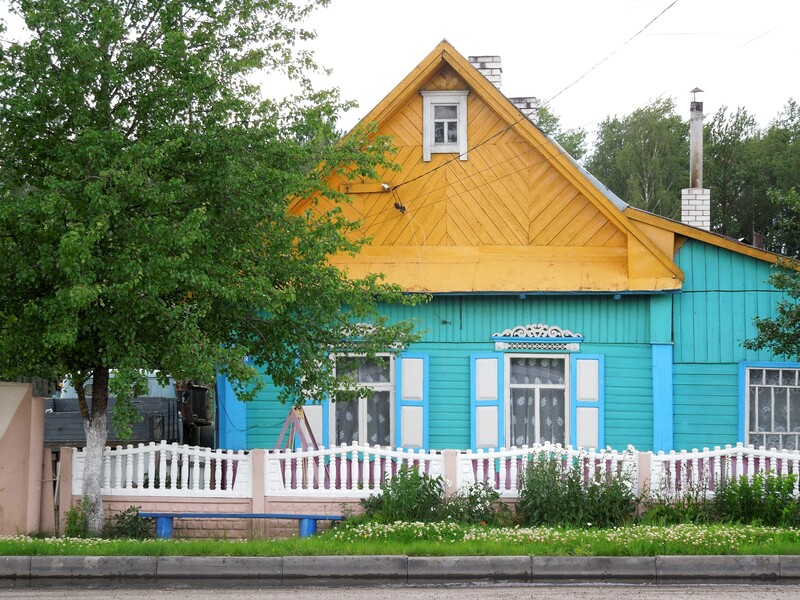 You do NOT see the post soviet era of prosperity that you see in other ex-soviet countries. There is little advertising or glaring neon lights, no graffiti, and very little litter. All a very welcome change and pleasant experience. Minsk, the capital of Belarus, is in the center of the country making it a central location for excursions to other cities. A visa is mandatory for most visitors (US and EU residents). When applying for a visa you need to state the hotels where you will be staying and have the agency that booked your hotel prepare an invitation letter to accompany your visa application. The visa will only be issued for the days of a documented hotel reservation. No extra days allowed. Upon arrival at the Minsk airport you need to purchase mandatory medical insurance which costs $5/person/week. English is not widely spoken, but people are friendly and willing to help. Belarus is known as “the lungs of Europe” because of its incredible amount of forest (over 30% of the country is forested) and marshlands. Belarus lost over 30% of its population during World War II and remains very patriotic. They celebrate Independence Day on the date they were liberated from the Nazis by the Red Army, not independence from Russia. 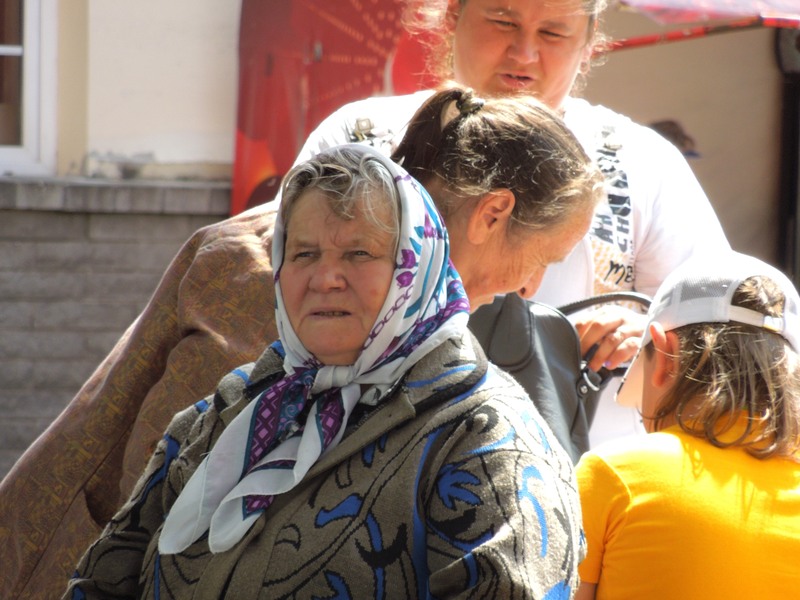 It is not overrun with tourists and offers a look into remnants of its Soviet past. The exchange rate as of this writing is 8799 ruble/USD. Our 270,000 ruble taxi from the airport to the hotel (approximately 30 minutes) which sounded astronomical, was only $34. We stayed at a 4 star hotel in Minsk which was expensive, $220 per night, and was certainly not up to 4 star standards. Hotels in Vitebsk and Grodno were much more reasonable ($100 per night for a 3 star hotel located in the center of the city). Hotels further out are less expensive. We found the food good and very reasonable. Draniki, potato pancakes, is the traditional Belarusian dish. From Minsk we traveled to Vitebsk (northeast) and Grodno (west) by bus. The cost was around $10 for each four hour ride, but be warned the minibuses are not air conditioned. 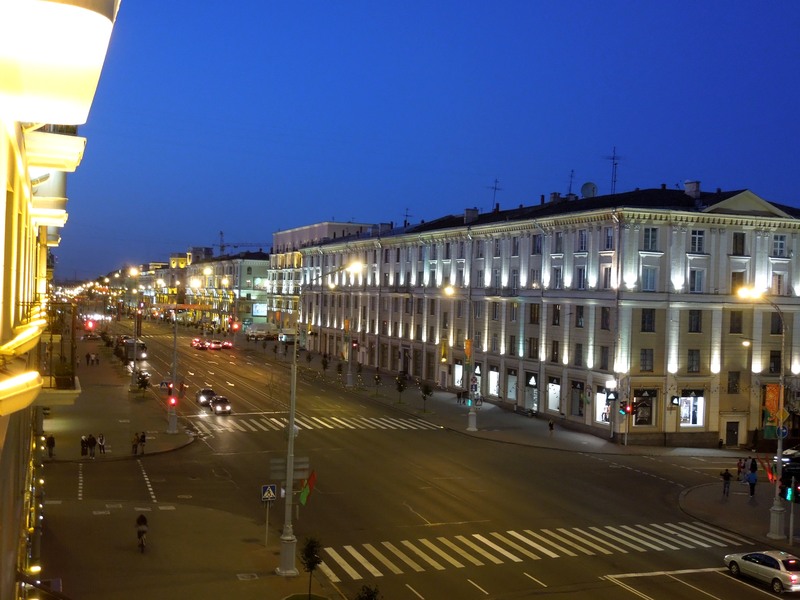 Minsk definitely reflects the Stalin style with its broad streets and numerous monuments. Minsk has several large parks and numerous war memorials. The Victory Plaza is a memorial to World War II. The Isle of Tears commemorates the 771 soldiers lost during the Afghanistan war. 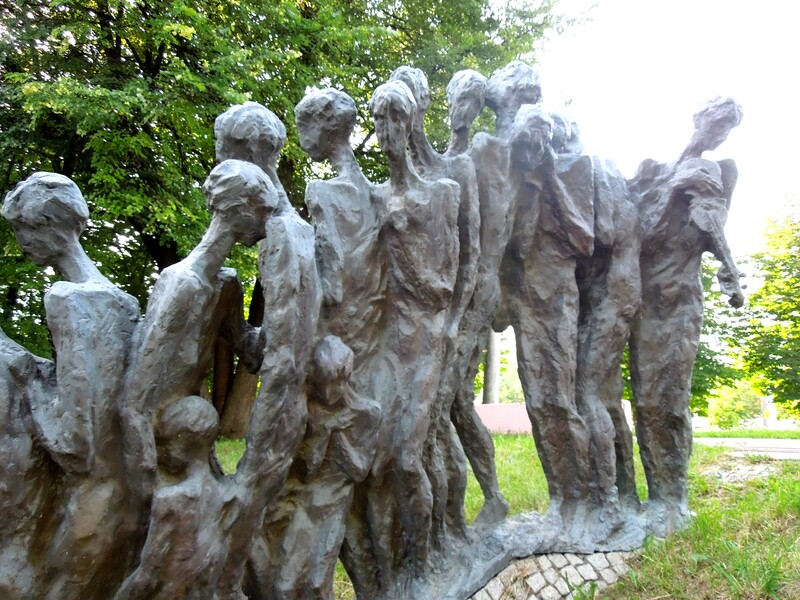 There is a very impressive holocaust memorial with 29 naked figures descending steps to be executed. It’s a bit hard to find (not far from the hotel Europe), but worth the effort. Our favorite restaurant in Minsk is Gurman at 7 Rypmah Street right behind the Opera House. We had the famed Gurman fried ravioli with Gurman sauce and cold borscht with cucumbers, potatoes, and egg. The bill was 176,000 or approximately US$ 18. 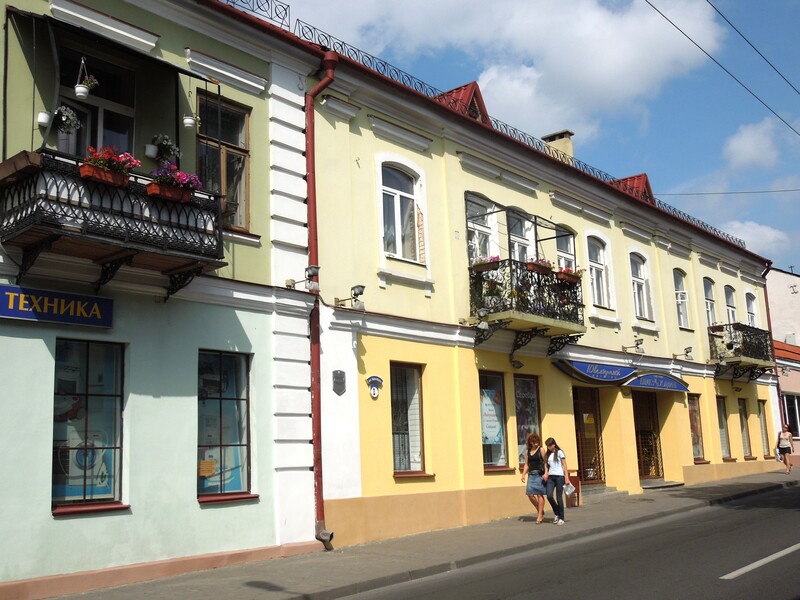 Vitebsk is the childhood home of Marc Chagall. The museum of his home and the Chagall Art Center, which displays some of his early work, are both worth a visit. Old Town runs along the river with cobblestone pedestrian streets filled with restaurants and beer gardens. Several Russian Orthodox churches are located in the Old Town area. Large, lavish weddings are not typical in Belarus. On Sundays during the summer, you will find wedding parties celebrating in the parks. 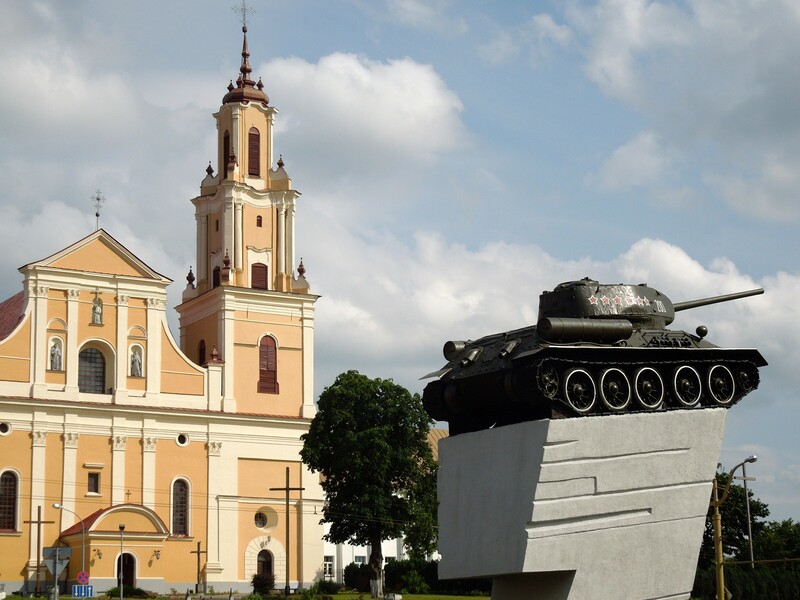 Grodno, on the western border, was not destroyed during World War II so you can experience old Belarus. 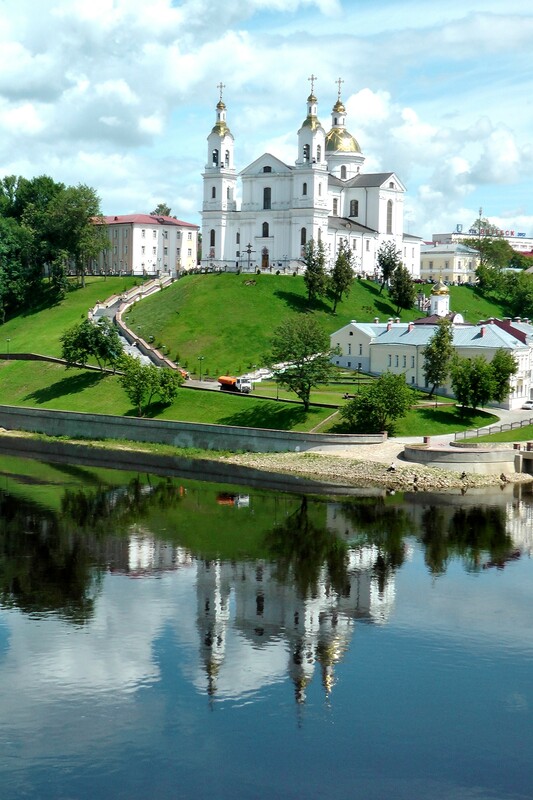 Grodno is a very old historic city. In the XVI century is was mentioned as one of the most beautiful cities in Europe. In 1862, it was the railroad hub between St Petersburg and Warsaw. Next to the Catholic Cathedral, located on the main square, is a picturesque pharmacy museum. The building was constructed in 1709 by the Jesuits for pharmaceutical research and functioned into the 1950’s. The restaurant Kampas, located in the older section of town, is great for pancakes with caviar. Many of the villages have brightly painted houses and make a colorful setting against the green scenery along the main roads. In the small towns, you will find local women selling fresh produce, berries, flowers, and herbs. 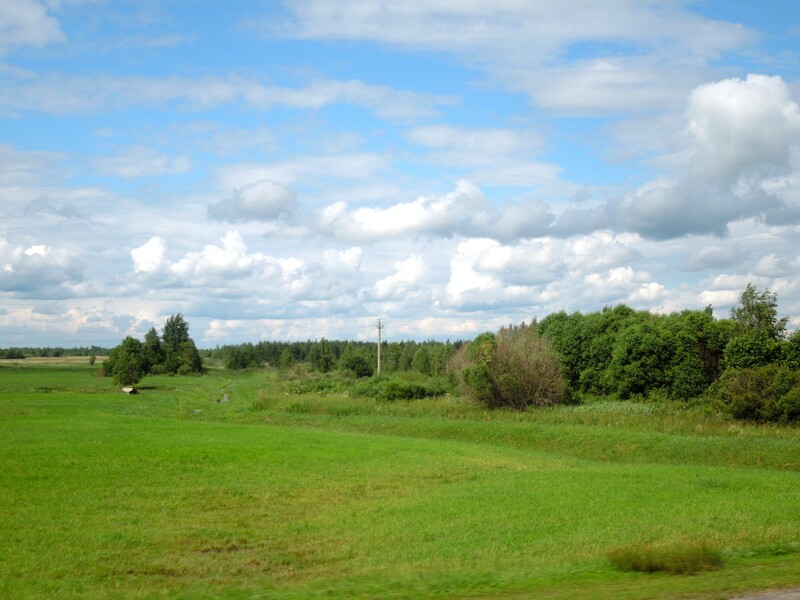 Belarus has four UNESCO World Heritage Sites . Mir and Nesvizh Castles are a day trip from Minsk. The Belovezhskaya Pushcha National Park is near Brest, in the south west corner of the country. Brest is worth a visit if you are a World War II history enthusiast. Belorussians are not affluent, although I did see a Porsche car dealership in Minsk as we were walking to the bus terminal. There are few ipads, but everyone has a cell phone. You don’t see high fashion in the malls, but young women are well dressed and tottering in high heels. Definitely, a trip to Belarus gives you a glance backward into Soviet times, so enjoy!